Caleb Johnson will look to close out his high school career on a high note. 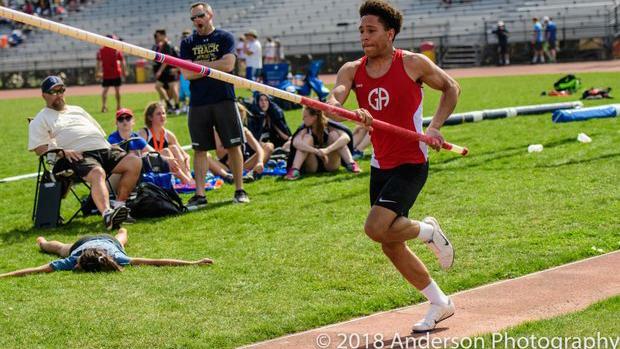 The Germantown Academy senior had a strong indoor season and should be even better this spring. Despite battling an injury that sidelined him for much of the winter, Johnson still jumped 15-6 to win the indoor state title. He's the state's top returner for this outdoor season and should take Inter-Ac and PAISAA titles this season. As for the PIAA's Class AAA, it should be a very interesting battle for the state's top spot. A strong graduating class from a year ago leaves the door open for a new name to assume the top spot. Perhaps Luke Knipe of State College will be the one to beat. Knipe jumped a best of 15-6 this indoor season. He was third at indoor states and could be the one to take the AAA title after placing seventh at outdoor states a year ago. He'll have plenty of challengers. The top returner based on state's finish from a year ago, though, is Butler's Jack Codispot. He was fifth in AAA last season and also took fifth at indoor states as well. The top PIAA finisher at indoor states was Penn Manor's Matt Julian. He cleared a career best 15-6 at indoor states and has come a long way since missing out on state qualifying last spring. Another contender is Neshaminy's Dan Dean. The junior was fourth at indoor states and grabbed a big PR of 15-3.75 to win the "Emerging Elite" section at indoor nationals. Shikellamy's Mason Brubaker, Hershey's Dan Hyatt, and State College's David Wasson also earned medals at indoor states in February and will be AAA state medal contenders this spring. Council Rock South's John Franco jumped 14-9.5 at outdoor nationals last year and should make some noise in AAA this spring, too. In AA, the one to beat looks to be Waynesburg Central's Daniel Layton. He jumped 15-3.75 for second in that "Emerging Elite" section indoor nationals, just behind Dean on attempts. He was third at states last year, the top returner in the classification. Southern Columbia's Brant Long and Tamaqua Area's Khalid Holland are also returning AA state medalists from 2018.